You can download SoundCloud songs (and podcasts ) to listen offline and add to your playlists on other players. SoundCloud, unlike Spotify, Deezer and Apple Music, is home to a ton of promising artists who use the platform to distribute their work independently. If you are a fan of electronic music or are looking to dive deeper into some genre, this is your place. 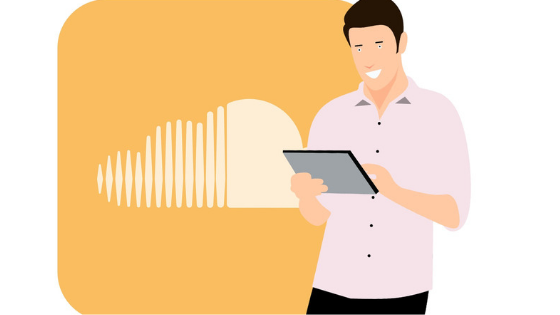 The content author can enable the download of the track and this allows listeners to download the audio in the same format as it was sent, without additional transcoding. Downloading SoundCloud content can be done in two ways: either directly on the download button or with webapps. Understand how each case works. There is an official way of downloading tracks (podcasts and songs) from SoundCloud, albeit with some limitations. Downloading anything from SoundCloud using the official method is incredibly easy. Just look below the track you are listening to and pick the “… More” option. You will see a “Download” button. Just click on it. This is the only way SoundCloud allows users to download tracks, but you will notice that not all tracks can be downloaded. Artists and the owners of podcasts have the option to allow or not to download. You’ll also find that you can only download one track at a time and not download entire playlists. So far the company has not been singled out for banning users for downloading music and podcasts via third-party sites and plugins, but be aware that this is not officially supported by the platform. It is worth mentioning that the reason some artists do not want their tracks to be available for download is that they are trying to sell them elsewhere, such as other streaming music services and audiovisual content. The most practical way to download anything from SoundCloud is to use an extension in the browser. There are good options for both Google Chrome and Mozilla Firefox. Click the download button that now appears below each track. If you do not want to install anything in the browser or are using your phone, you can count on third-party sites and webapps. If you download on SoundCloud infrequently, it may be the best option. Just copy the URL of a certain track and go to a site that takes care of the rest. There are several sites that promise to do this, here are some options that can make downloading easy without using apps. Using the site avoids downloading applications on Android and iPhone (iOS), but you can still do that if you want. Take care, always, to choose a safe option in the apps store.